I went into Tuesday without knowing what I was going to do for Day #10. Scary, considering my lack of a plan on Saturday led to me kissing a dude with a moustache. I had discussed with my friend Melanie possibly going to see U2, since they were playing at the Georgia Dome. I'm not a huge U2 fan and she had seen them before, so neither of us were really excited about spending the money to scalp tickets to the sold out show. "Maybe we should try and sneak into the concert. Have you ever done that?" she asked me in an email. No, I responded, and the idea perked my interest. I shared the possibility with a co-worker who said, "Don't get arrested!" Whoa, didn't think of that. Wait, why didn't I think of that? I really didn't want to add, "Spend the night in an Atlanta jail" to the list of things I haven't done before. And honestly, my energy level was wavering. I just couldn't get excited about U2 (though I have heard since that the show was awesome). The stress was making the headache I woke up with even worse. After trying what seemed like everything else to get rid of it, I decided I needed caffeine, and lots of it. And then it occurred to me: espresso is something that I've never tried. I asked some people if that was a good idea for the blog, for the thing I haven't tried. Many were shocked, exclaiming, "You've never had espresso?!" No, I have not. And come to think of it, I've never seen any of you drink it either. I mean, I've been hanging out in coffee houses drinking coffee drinks since I was in high school. But for my friends and I, it was less about the caffeine fix and more about going to Cafe Espresso in downtown Columbia to smoke cigarettes (sorry Mom and Dad) and pretend like we were in college. Fearful that ordering a hot chocolate would immediately give us away as teenagers, we ordered quite a sampling of flavored coffees, cappichinos, and lattes over the years. Some of them, most of them, had espresso IN them, but were NOT straight up espresso. So that was it. Time to kill two birds with one stone: get rid of my headache and try something new by making the Day #10 thing I've never done before: get jacked up on espresso. I went to Starbucks and ordered a double shot. This was no double shot added to a Cinnammon Dolce Latte. That's child play. This was real deal espresso. No cream. No sugar. The drink comes in a tall cup, filled about a 1/3 high. Leave it to Starbucks to rip me off. I returned to my desk, took a sip and realized they didn't rip me off. It's just merely impossible for anyone to choke down anymore of such a disgusting drink that they see no need to fill it to the top. Espresso tastes like tar. I think it may be worse than beets. My headache did go away, possibly from the caffeine. Or maybe the pain being inflicted upon my taste buds made me forget that my head hurt. It's unfortunate, for all of you, that the hideous faces I was making trying to drink this horrific concoction weren't captured on camera. And then, just when I thought espresso was a horrible idea, espresso got really fun. I'm an anxious person by nature, so the super shot of straight caffeine hit my system and I suddenly turned into an extra-hyper version of myself. I may or may not have done a dance at my desk similar to Jennifer Beals' "She's a maniac" in Flashdance. I definitely rattled off a response to an email from my dad, who was giving me a suggestion for something to do for the blog. "Dad...I really am going to do that!!! It's on my list for Friday! Today I had an espresso, hence all of the exclamation points. I'm JACKED!!!!!!!!" He and I went back and forth for a few emails that I'm sure scared him a little for my safety and for the safety of those around me. The last email I sent to him: "Yes...espresso is fun!!!!!!" Another friend I had been emailing noticed the conversation going in a million different directions and responded, "Whoa, you're all over the place." 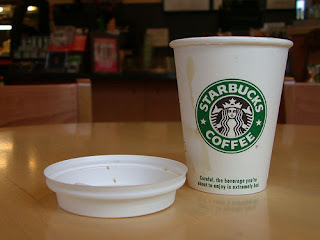 Clearly, Starbucks was NOT ripping me off by only filling the cup a 1/3 full. They are actually protecting their customers from potentially harming themselves. Espresso is meant to be taken in small doses. The buzz lasted a solid three hours and coming off the caffeine was not at all difficult. I eased back into my normal sense of anxiousness seamlessly. 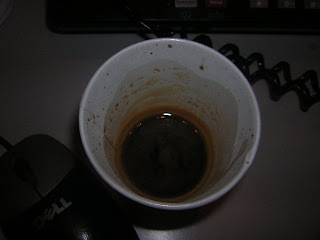 All things considered, espresso may taste bad, but it makes me feel really good and it does not turn my pee red. Success! Hilarious! I ordered an expresso AT Cafe Expresso when I was about 16. I poured about oh, a cup, of sugar into it in order to force it down! I can't believe you have 355 days to go. I freakin' love this blog. you have to try espresso on the Croatian coast. you sip that tiny little cup for 2 hours, talking about any and everything. so cool that you gave it a shot! 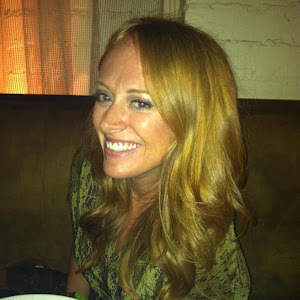 Stephanie, just found your blog and it is definitely keeping me laughing. Can't wait to see what you come up with next. So fun! The perfect dirt meal for you: beets and espresso. Just be sure not to call it ex-presso, as so many people mistakenly do. you KNOW you want to see Styper at the Masquerade. That probably would give you enough material for a few days of blogging.